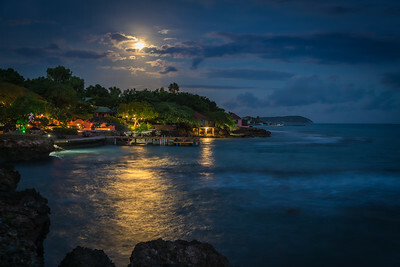 A moonlight hovers over Jakes in Treasure Beach, St. Elizabeth, Jamaica. 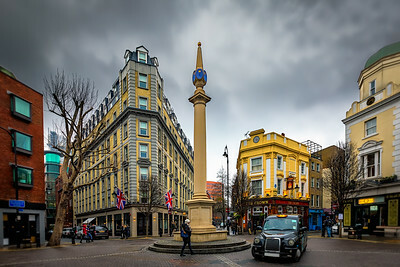 Seven Dials in Covent Garden, London at the intersection of Monmouth Street, Mercer Street, Earlham Street, and Short Gardens. "NYC, What is it about you..." A song from the play "Annie." 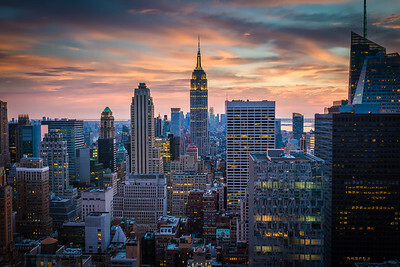 Another beautiful New York City skyline. 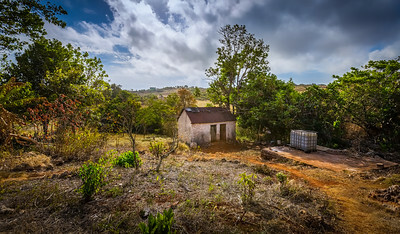 This is a photo of my grandmother's kitchen in St. Elizabeth, Jamaica. This is where meals were cooked and then brought up to the main house which is on the right of where I am standing when i took this picture. Due to the current drought in Jamaica, water containers are given out to help store water. You will see this container to the right of the kitchen. 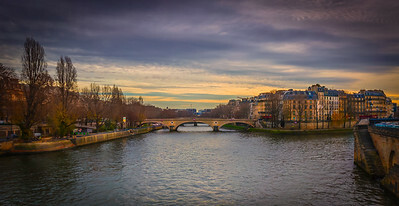 The Seine River in Paris, France. We saw many commercial and recreational boats on this river throughout the day. 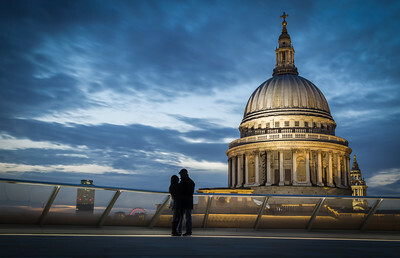 Silhouettes on a rooftop at One New Change, across from Saint Paul's Cathedral in London, England. The wedding of Prince Charles and Lady Diana took place at St. Paul's Cathedral on July 29, 1981. The London Eye carousel can be seen in the background. 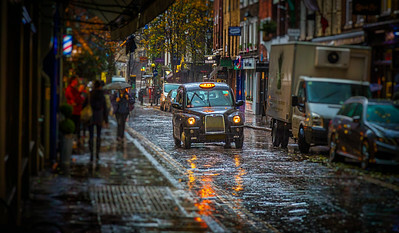 A rainy morning on Monmouth Street in Seven Dials, Covent Garden, London. a taxi passes by. 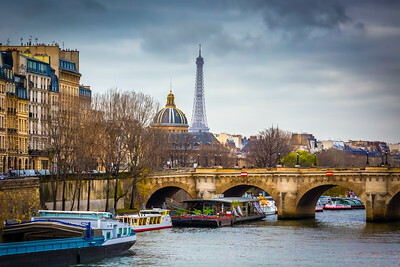 We decided to walk to the Eiffel Tower and noticed it from one of the bridges that cross the Seine River in Paris, France. To the left of the Eiffel Tower, you can also see the dome of the Institut de France, which is an academic association. Close up of the Louvre Pyramide in Paris, France. 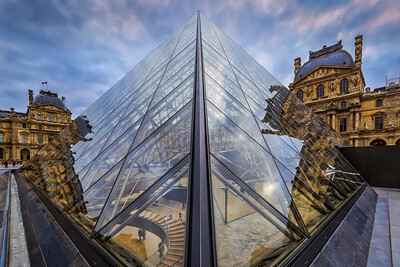 The Musée du Louvre is the world's largest museum located near the Seine River. 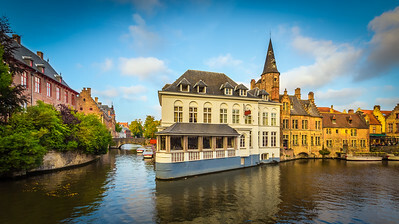 We were walking near one of the canals in Bruges, Belguim, and spotted the Church Of Our Lady Bruges dating back to the 13th century. We also spotted some swans fishing for food. In the foreground of the Church is the Sint-Janshospitaal, a hospital dating back to the 11th century which is now a museum. 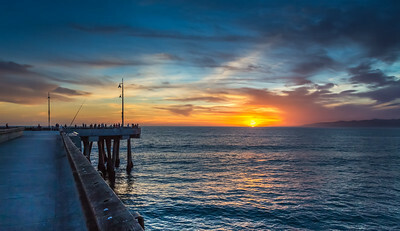 Venice Fishing Pier in Venice Beach, California. Not too many people fishing today, as most are watching the beautiful sunset. This was taken leaving the Getty Museum in Los Angeles, California. The foreground is the tram that takes you to the musuem. 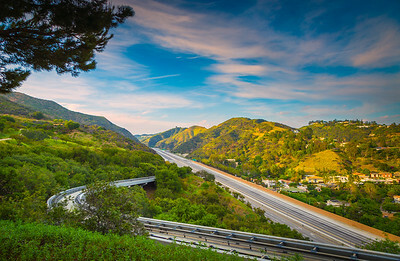 The 405, or San Diego Freeway, cuts through the hills of California. On our way to grab breakfast this morning in Tribeca the snow is finally melting away. The World Trade Center stands against a beautiful blue sky. This picture was taken with my iPhone. I first took a picture of the bottom half of the scene and then the top half in order to get the top of the World Trade Center. I then stitched the two images together in Photoshop. Brooklyn Bridge in the foreground followed by Manhattan Bridge. Both Bridges connecting Manhattan and Brooklyn. 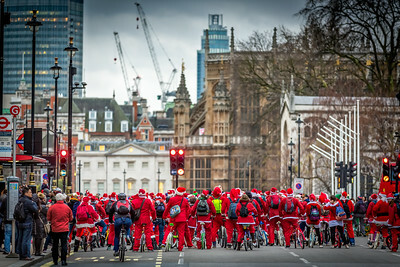 This was taken yesterday. 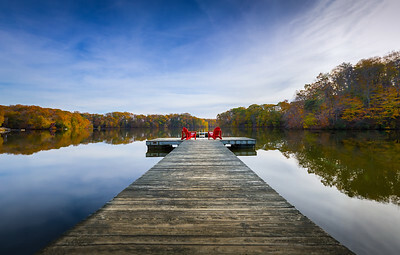 Trying out a Big Stopper for the first time with this photo. 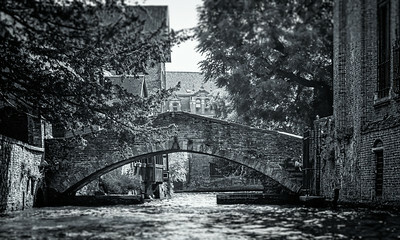 We found a little alleyway off of Wollestraat in Bruges that led us to this area along the water. We were in Brussels and went to Grand Place (Grote Markt) for some sight seeing and photography. We can not wait to go back. What a beautiful city. 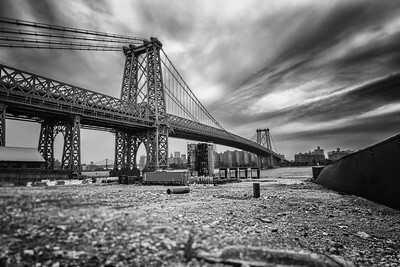 The is a picture of the Williamsburg Bridge taken from the Brooklyn side facing Manhattan's lower east side. The East River is in the background separating Brooklyn from Manhattan.